Chief Rabbi Mirvis greeting a Holocaust survivor before the levayah for Holocaust Victims in London. Yechezkel Mezzo, z”l, grew up in a Hungarian village that was so poor that the townspeople could only afford to hire a melamed for six months a year. “Half a year we learned, and half a year we just ran around,” he related. He was in his late thirties when the Nazis occupied his hometown and deported him to Auschwitz. By the time the war had ended, he had also endured the gehinnom of Dachau and Buchenwald. Many decades later, when he was asked how he survived, he seemed taken aback by the very question. “Hashem wanted me to live,” he responded succinctly. He later emigrated to America, where he married and worked hard to support himself and his wife. He spoke little about his wartime experiences, though he once revealed to one young man his greatest heartache: His sister had been niftar before the war, and before her passing, he had promised her he would take care of her two children. He had tried his hardest to keep his promise, but when the Nazis deported them to their death, he was powerless to prevent it. Childless and all alone after his wife’s death, it was kind neighbors and some of the mispallelim in the two shuls he liked to daven at who took care of him in his final years. He suffered from a serious heart condition and other maladies, but continued to do his best to come to shul, where he relished the opportunity to be of help. Whether it was to bind a siddur that had fallen apart with duct tape, or hammer a nail into the wall, he was always eager to service the shul and its members. Despite all his tribulations, he lived to the advanced age of 96, outliving many of his younger friends. Baila was 15 when World War I broke out. Two years later, her family was forced to flee the Galician shtetl where they had lived for generations because of the advancing Russian forces. The family settled in Vienna, where, along with many other refugees, they endured great poverty. Her parents decided to move back to Poland and only came back to Vienna for medical treatments. She was close to 40 when she finally married. Shortly thereafter, the Nazis took control of Austria in the Anschluss. Along with her husband and infant daughter, she fled to Amsterdam, where her husband had relatives. After the Nazis invaded Holland, she gave her only child to non-Jewish farmers for safekeeping, and, together with her husband, spent two and half years hiding in a dreary, tiny, secret annex. Living in constant fear of being discovered by the Nazis, only late at night were they occasionally allowed to leave the small, windowless space behind a temporary wall for a few moments to get some fresh air. Her wartime experiences took their toll on her health, but despite all she had gone through, she lived well past her 98th birthday. Her younger sister also suffered much during the Holocaust, yet also lived into her nineties. For those who were wondering, a new study indicates that the phenomenon of Holocaust survivors meriting arichas yamim is a real one. The findings were published in the American Medical Association publication JAMA, and reported by Bloomberg columnist Peter R. Orszag. The extensive study by a team of Israeli researchers compared Holocaust survivors born in pre-World War II Europe who later moved to Israel to people born in Eretz Yisrael over the same period. The number of individuals whose medical records were used in the study — thanks to the Maccabi Healthcare Services — is impressive: More than 38,000 Holocaust survivors were compared to almost 35,000 Israelis. The research found that Holocaust survivors had excessive rates of suffering from at least two serious medical issues at the same time, including higher rates of hypertension, osteoporosis among women, diabetes, chronic renal disease, cancer, dementia, and cardiovascular illnesses. As the report noted, generally these medical conditions result in a shorter life expectancy. 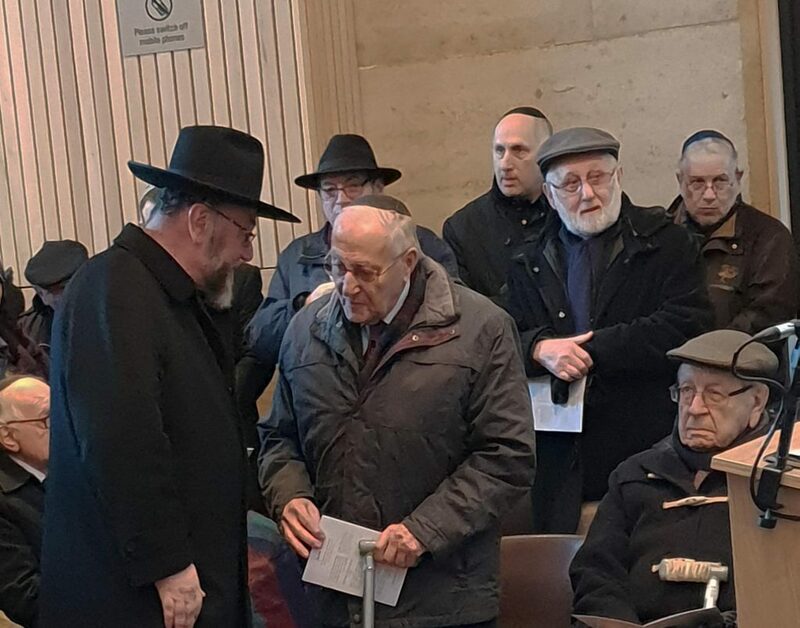 Yet surprisingly enough, when it came to Holocaust survivors, despite their medical conditions, they actually lived on average 7.1 years longer than those born in Eretz Yisrael — their average age at death was 85 years, compared to 78 years among the others. This reality should serve as a great chizuk for all those suffering from various medical conditions or personal hardship. As Reb Yechezkel put it, when Hashem wants someone to live, they will live. Period.